Usually I’d have a bit of nonsense here from the brewers notes or cribbed from other sources, but guess what?, nothing on the webs, nothing on the websites, nothing on the twitter, the instagram and all the other places I thought of looking and some I didn’t. So I’m flying blind as it were, and then what follows is usually a load of nonsense plucked from the pretty word ensemble to make a pretty sentence. Seriously…. Citrus sweet tropical aroma on flipping the pop top, so I’m still none the wiser. Pour is mid orange brown and bright, Aroma in the glass is much fuller of hop grassiness, but I’m taken with the sugar sweetness, and how nice it looks in the glass with that small and bright white head. There is nothing subtle about this beer. It is big and brash, uncouth even. Full mouthfeel malt, and the unsubtle presence of strong alcohol underneath and at the finish. I feel that this might be a challenge of willpower, this is a beer that is very dominating. Not in the places you might want it to dominate though. This is not a bitter beer in that it doesn’t give you taste or sense of bitterness, it’s not overly bitter on the tongue, nor is there an edge of bitterness and the finish isn’t anything to write home about. This has such a strong middle part that all that might be hidden way below. The only stand out seems to be the alcohol tang. At this point it was a stop and pause to engage, since there is a longer evening ahead than a couple of beers. What this has is that higher level of the sweetness that confounds you and kicks in that bit of the palate that makes you want to sip again, which because I have no willpower I did, but I didn’t pour another glass, yet. Well then, I’m not going to suggest that this has that same alcohol astringent tang that a Belgium Tripel has, softly softly it drinks then you get that little squint. So a second glass, which pours as pretty as a picture like the first, and then I placed and It was somewhat gone. I’m bad at this will-power. I’m also bad at this writing a story about a beer where there are no cues about it. Or perhaps I’m better and I enjoy a story, In a few years when I’m reading this it might make me remember and smile. That selfie won’t. The pdubyah-o-meter rates this as 9 of its things from the thing. 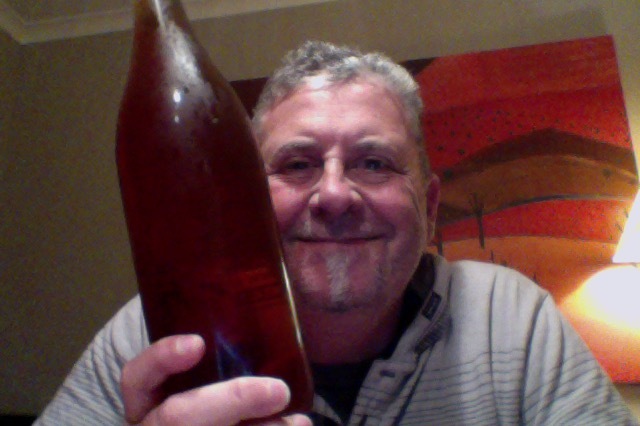 I really like this beer, I can’t help but not liking it, it has flavour and taste and there is nothing to be angry or angst about, and at this point in writing it’s making my fingers go all bit jelly and random, to the person who invented the spellcheck I doff my well worn cap. Sawmill Brewing it’s been a long time between drinks, this is a hit to the stands, get in! Am I enjoying it? I am, I became more comfortable with it the more I had. It’s like that sometimes. Would I have another? I really would, if only I had a driver to take me home. Would I share with a friend on a porch and set the world to rights? yes, yes this is a beer that would make anyone smile, because it hides it’s thing under a bunch of other things. 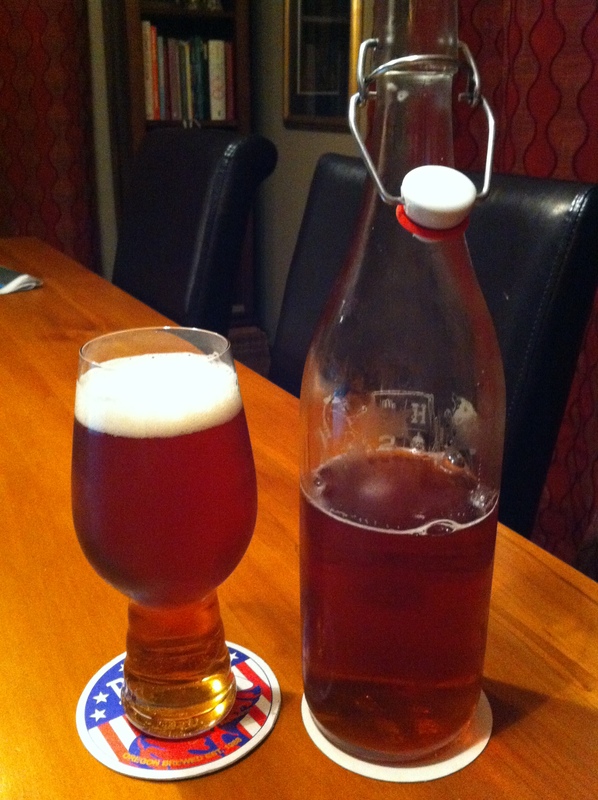 This entry was posted on August 15, 2015 by Philip Walter in Beer, Beer of New Zealand, Beer Review, Craft Beer, Critic, Imperial/Double IPA, Sawmill and tagged Alcohol by volume, Beer, craft beer, dIPA, Imperial IPA, India Pale Ale, leigh sawmill, Leigh Sawmill Brewery, Sawmill IIPA.